UPDATE: We don't allow any new free guest post due to several reasons, if you want to do a post here, order me here. 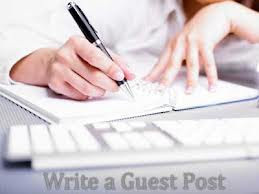 Write a guest post for Tech Web World. possible we will publish it on our blog. Note that we allow maximum two relevant backlinks to a blog. One may be at the post body and the other must to be in the author bio. Linking to blog post, we don't charge you anything while linking to a website, we are having charges(AFFORDABLE) for that. In other words, we call it a paid post. Linking to a website post is usually published for the advertising purposes and that's the main reason why we charge. complete your post) but don't copy and paste but write it on your own way. publish that post in any other place(blog). 3.Your post need to be of the best quality and fully explained. something related to your post, you have to answer them. 6.at the end of the post will be your short Bio. You can also use the contact us form for any query or suggestion etc.